SRINAGAR: Five militants belonging to Hizbul Mujahideen and Lashkar-e-Taiba (LeT) were killed on Sunday in an encounter with security forces in Jammu and Kashmir's Kulgam district, police said. The gunbattle broke out after militants opened fire on a search party of the security forces in Kulgam's Kellem village this morning, a police official said. 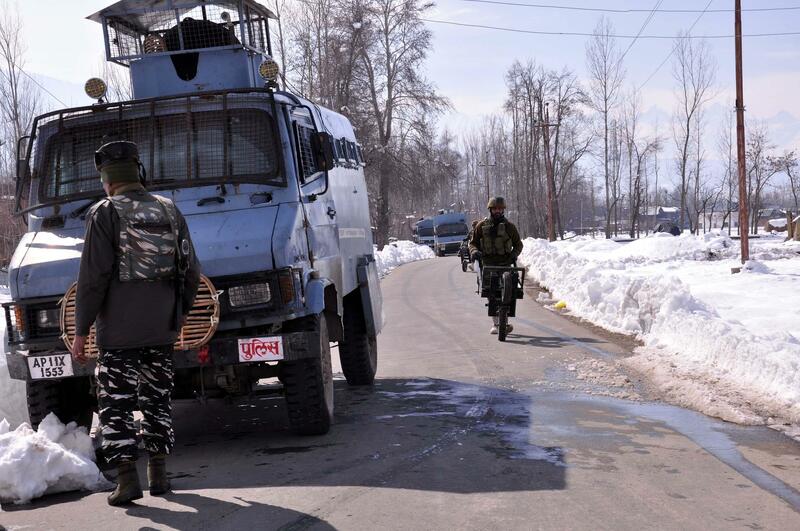 The slain militants were identified as Waseem Ahmad Rather, Aqib Nazir Mir, Parvaiz Ahmad Bhat, Idrees Ahmad Bhat and Zahid Ahmad Parray, the police official said. "As per police records, it was a combined group of proscribed terror outfits HM and LeT and their (militants') exact affiliations are being ascertained. They were wanted by the law for their complicity in a series of terror crimes, including attacks on security establishments and civilian atrocities," a police spokesperson said. He said this group of militants was also involved in various grenade attacks across Anantnag and Kulgam districts. Meanwhile, hours after five militants were killed, eleven people including seven security personnel were injured in a grenade attack in Srinagar’s Lal Chowk on Sunday evening. Eleven people including four cops and three CRPF personnel were injured in the attack which was claimed by Jaish-e-Mohammed in a statement to a local news agency. According to a police spokesperson, a grenade was lobbed near Palladium Cinema in Maisuma area of Lal Chowk. A statement by the police said, “Today at about 18.45 hrs police rushed to the…following reports of a grenade attack by terrorists.” It said that it was found that four cops, three CRPF personnel and four civilians were injured in the attack. “The injured have been shifted to the hospitals for the treatment of their injuries. They are stated to be stable,” the police said. Meanwhile, an operation was launched in the wee hours after a joint team of security forces launched cordon and search operation in Kulgam’s Kellam Devsar area following information about the presence of militants in the area. As the forces zeroed in on the suspected place, the militants opened fire, triggering the encounter.